Since 2009, Brazil’s Baby Chocolate has been creating clothing and nursery essentials for babies around the world. Their aim is simple: make beautiful baby clothing and accessories that is both practical yet playful. Baby Chocolate’s wonderful range is almost good enough to eat - as each accessory features a different dessert shape – and makes the perfect gift for newborns. 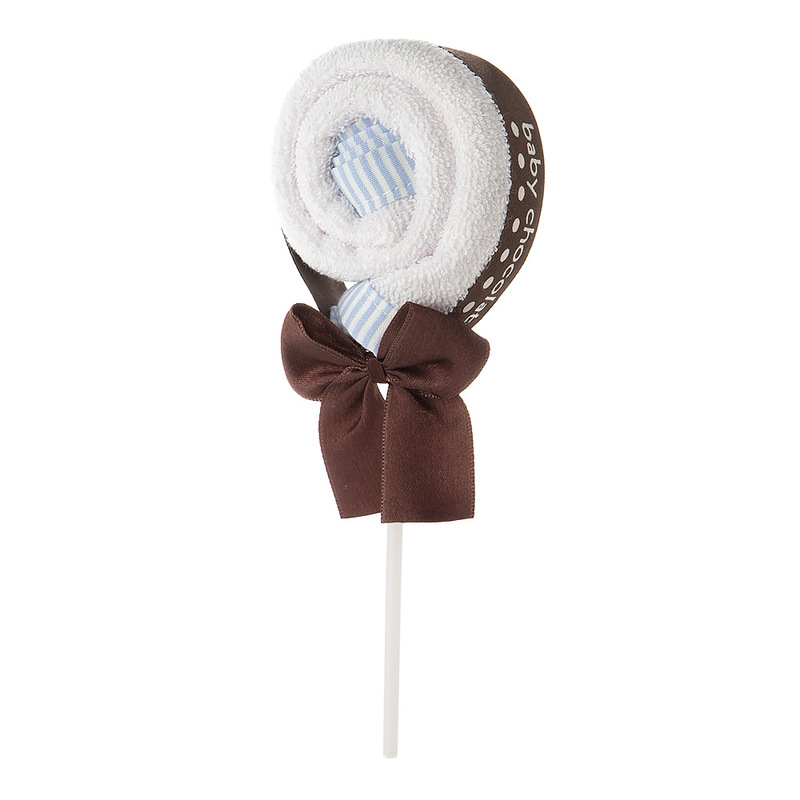 Made from 100% cotton, the Baby Chocolate Lollipop Washer is an adorable bath time accessory for babies. The washer is gentle on baby's skin and is presented on a lollipop stick, tied with a chocolate bow, for the ideal finishing touch to a one-of-a-kind gift. Beautifully presented on a lollipop stick inside a Baby Chocolate gift box.